NICU care package for a donation of $50. Do you know how to knit, sew or crochet? Join us to assemble our next hospital donations! that will be donated to local hospitals. Each life, no matter how fragile or brief, forever changes the world. Mikayla’s Grace was started by Mike and Melissa Terrill in March of 2011 and is inspired by their two babies. Mikayla’s Grace is our way of giving back to our community, and keeping our babies’ spirits and memory alive, while helping other families. Our goal is to give comfort and support to parents who find themselves in the stressful situations we were in. Since 2011 Mikayla’s Grace has donated over a thousand Angel memory boxes, over a thousand NICU care packages, hundreds of Christmas NICU care packages, thousands of Baby Loss Comfort Packages (for early pregnancy loss less than 16 weeks), and thousands of baby blankets and gowns with matching booties and hats to hospitals in Wisconsin. Our Mission is to support families with a baby in the NICU (neonatal ICU) and those who experience the death of an infant at hospitals in Wisconsin by providing NICU care packages and angel memory boxes that offer both practical and emotional support for the parents. 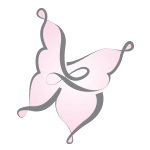 We also provide Baby Loss Comfort Packages for women who experience a miscarriage at the hospital, in addition to other support for bereaved parents. 1 in 4 women experience a pregnancy loss in their lifetimes.